I was looking through my blog history to see which posts were visited the most. 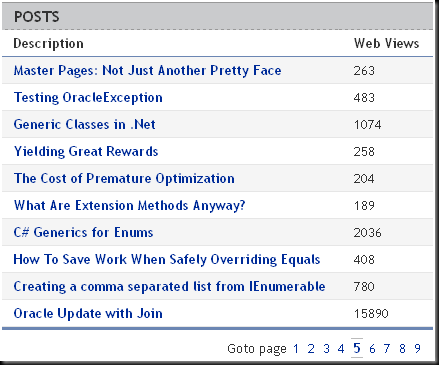 To give you a point of reference, the next closest post to has around 3000 visits. 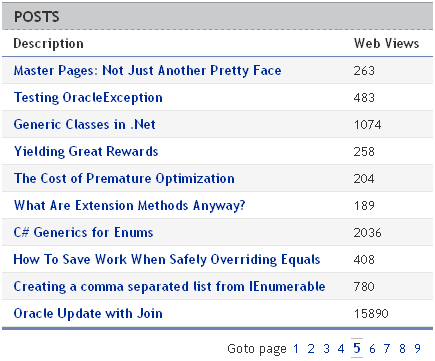 I’ve had more comments on “Oracle Update with Join” than any other as well. Ironically, I’ve been using NHibernate more heavily and these types of Oracle statements/queries hold less value in my daily activities.